Update: Due to weather, The Ghostly Circus is postponed to Saturday, Aug. 18. 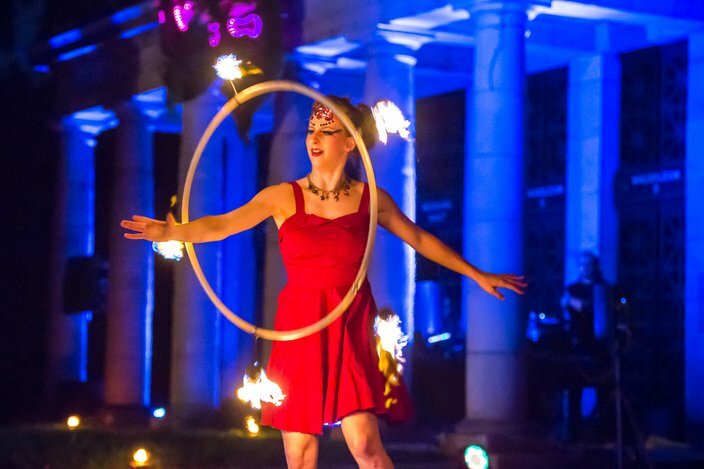 For the fifth year, The Ghostly Circus will take over Laurel Hill Cemetery. 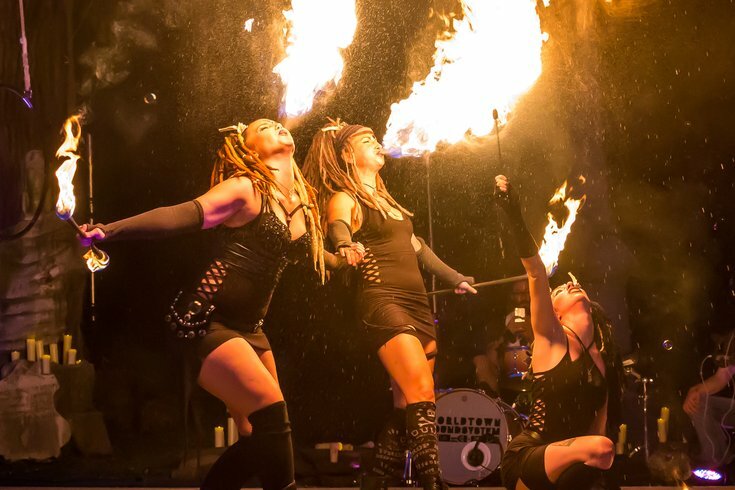 Amid the tombs, fire dancers and aerial performers from 7textures will put on an other-worldly show. The unique production will have elements of "The Inferno" from Dante Alighieri’s epic poem, "Divine Comedy." 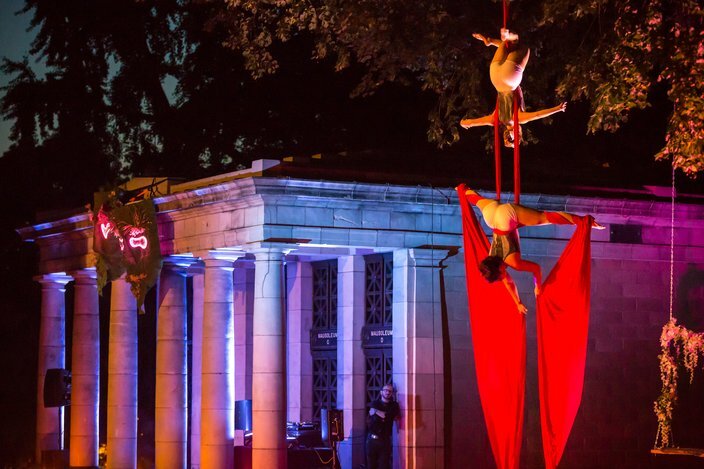 RELATED: PHOTOS: New Cirque du Soleil routine sets the [handle]bar even higher | A new fine dining restaurant is opening in the Philadelphia Museum of Art | This summer's Shakespeare in Clark Park production is "Twelfth Night"
After, there will be a "Dance With the Dead" party. The Ghostly Circus will take place Friday, Aug. 10, and Saturday, Aug. 11. Tickets are $30 online and $40 day-of. Children under 12 can attend for $15. Remember to bring a blanket or beach chair, plus cash for the onsite food vendors and the wine and beer bar. On both dates, the show will start at 8 p.m., but Laurel Hill Cemetery suggests arriving at 7. Not sure what to expect? Below are photos from past years. 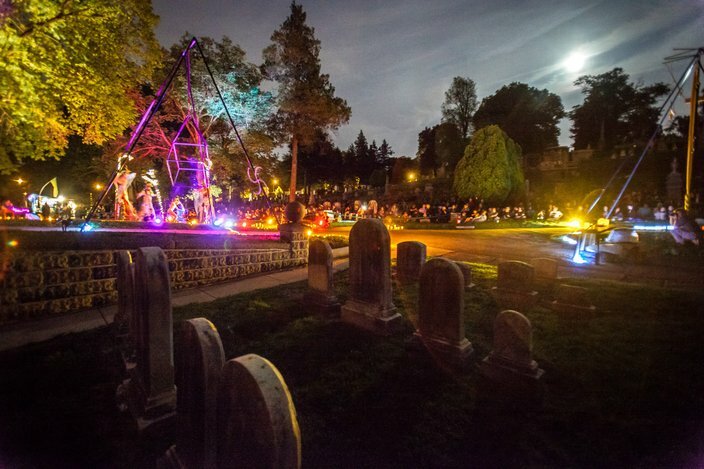 Multiple stages of the 'Ghostly Circus' were built into the landscape of Laurel Hill Cemetery, Friday, May 20, 2016, for the event which featured aerial performances, dance, and fire spinning. 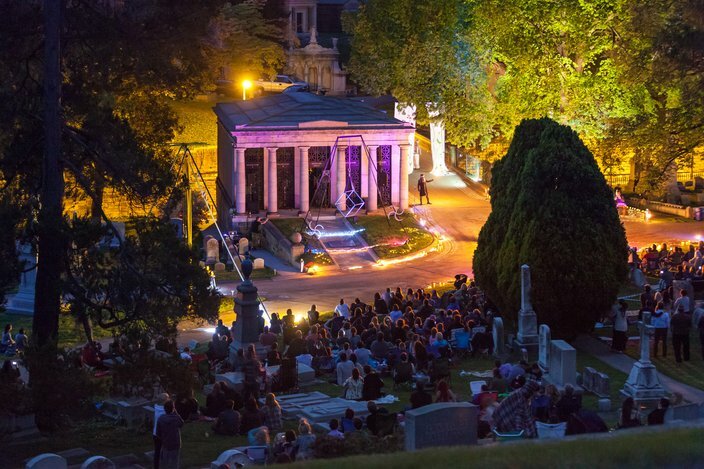 The audience of the Ghostly Circus sat amongst gravestones while they watched the performances at Laurel Hill Cemetery. Laura Rennegade hangs for an aerial cube during a duet performance with Erin Flannigan.